Listed below are some of the rivals of the Zhongyi Mitakon 42.5mm f/1.2. The M.ZUIKO Digital 45mm f/1.8 is a new portrait lens for the Micro Four Thirds system. Offering a 90mm focal length, fast and near-silent focusing and a bright maximum aperture of f/1.8, this short tele-photo lens is perfect for head and shoulder portraits. Read our Olympus M.ZUIKO Digital 45mm f/1.8 review to find out if it's a must-have for all Micro Four Thirds users. 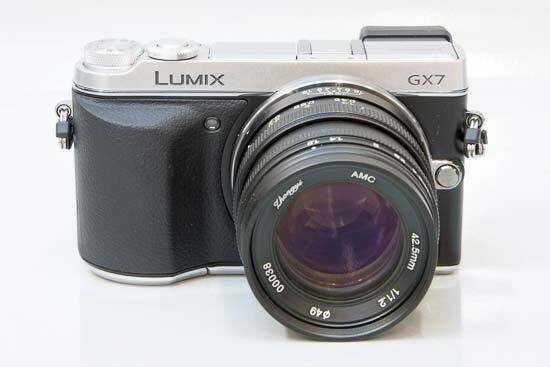 The Panasonic Leica DG Nocticron 42.5mm F1.2 ASPH is a new portrait lens for the Micro Four Thirds system. Offering an 85mm focal length, an ultra-bright maximum aperture of f/1.2, fast and near-silent focusing, and built in optical image stabilisation, this short tele-photo lens is perfect for head and shoulder portraits. Read our Panasonic Leica DG Nocticron 42.5mm F1.2 ASPH review to find out if it's a must-have lens for Micro Four Thirds users.